I would very much like to tell you about a few books that could help with what you maybe sometimes call your spiritual life. Obviously, if you’ve read this blog more than once or twice you know that we believe that the Lordship of Christ extends to all aspects of life, every zone of culture, and our vocations to bear witness to His reign (“on Earth as it is in Heaven” inaugurated at the incarnation of which we sing this time of year) include thinking Christianly about daily life. (It is why we sell the books we do, after all.) We take up our calling to be Christ’s followers, agents of God’s ways in our shopping and voting, playing and working, in our families and our entertainment and civic involvements. No, we do not mean to suggest that our “spiritual lives” are anything other than our lives, lived out before God, in union with Christ, mandated with a mission, in the here and now, in the ups and downs of our ordinary days. We read widely to get a vision for thinking faithfully so that we might embody counter-cultural practices that point towards God’s restoring plan for our planet. Yep, I love saying that kind of stuff, over and over and over. When we talk about our spiritual lives we are really talking about it all. But yet, there is this genre of books that focus on the growth and deepening of faith, books that equip us to be people who know God well and whose interior lives are deep and solid. Call it basic faith formation or spirituality or discipleship from the inside out, but even those with a reforming vision to be salt and light and leaven in every sphere of culture, need all the help we can get about nurturing our faith. Some books about one’s relationship with God are frankly not helpful to shape us to live bodily in the real world, for and with God. They draw us inward or upward and sound pious, full of lingo about intimacy with God, joyful victory over trials and having mighty faith. A lot of books on the market within the genre of “Christian living” seem to have this kind of God-talk and religious piety which is often disconnected from God’s Kingdom, or much of a sense that God’s Kingdom is to be found in the real world as we know it. These books and authors may sound amazing and super religious and their formulas may work for a bit to give us some religious buzz but many just do not have that much usefulness for one wanting to grow in quiet, confident faith and normal quotidian obedience. I bet that even our readers who are the most fervent for Christ and His work know what we mean. Splashy talk and super-passionate spiritual books often just don’t seem right, and they don’t help that much. And some religious books are just weird. So here are a two new releases that I believe are really, really wonderful books. I want to invite you to not only get them for yourself but to use in your own ministry. We realize that many BookNotes readers are those who pour out their lives for others, who are intentional about making an impact in their circles of influence, who give books away, who are in some sort of leadership (if not as pastors, perhaps as Christian educators, para-church workers, campus ministers, or as a respected colleague at work and a trusted professional in the community.) You can use these books to get a better handle on what it means to have a deeper faith life, and how the inner journey can shape the outer, so to speak. In other words, these are books on basic Christian growth, spiritual formation, resources for living into the faith in good and fruitful ways that are winsome and mature. I think you could use them in your own life and among your friends. I will tell you about these two and then also list a few daily devotionals. Sometimes all a person can manage is a short bit of daily reading, and I wanted to list a few. T he first of these two is in the “formation” line of InterVarsity Press. 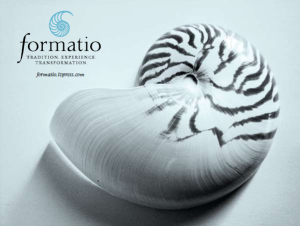 formatio is my favorite line of books about the prayerful inner life, fostering a contemplative lifestyle and such, and we stock (and most often read) every book they do. They are almost all grounded in a broad and ecumenical sense of the historic faith, although IVP is unashamedly evangelical. This commitment to thinking deeply and writing well about the first things of faith — and, in formation, how to enter disciplines and practices that allow us to grow in Christ-likeness — makes their books almost without fail, very, very good. The second I will mention is also published by InterVarsity Press, although it is from their academic division. Again, IVP Academic is broadly evangelical, but bringing forth fairly scholarly work for those wanting more mature or sophisticated reading. Some of their academic stuff is really, really scholarly, but in this case, the one I’m now excited about it meaty but not arcane. Not at all. 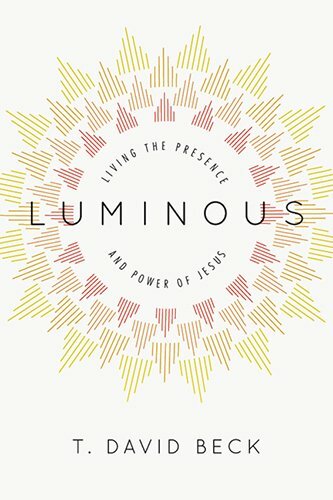 L uminous: Living the Presence and Power of Jesus T. David Beck (IVP/formatio) $16.00 I find it hard to explain just how wonderful this book is. It is (how to say it without making it sounding insubstantial?) — earnest and sincere. The author’s voice is urgent without being breathy, and joyful, without being superficial or glib. He has had some profound experiences in his life, gleaned some insights, and has (as a pastor in a local church) done some significant teaching on his topic, and he badly wants to share it. You can just feel it — the content matters to the author and he believes it can help you in your faith journey. We should be glad, as this makes for a wonderfully-written, compelling book that draws the reader in, that helps us gain the same sort of enthusiasm he has. This book is well worth your time, not just because it relays some vital information about the spiritual life, but also because it is a delight to read. He tells stories, does some fairly innovative Bible study, and guides us step by step through this profound rumination of what it means to be luminous. That it is itself luminous makes it just right. I don’t think I’ve pondered in quite a while this large metaphor of being a light, letting our light shine, and so forth. One of my early mentors use to preach on the verse that says we will shine like stars ((Philippians 2:15-16) and Mr. Beck is right, this may be connected to a passage that would have been well known to first century Jews, a promise from Daniel. We’ve all most likely heard it – you are the light of the world, Jesus says – but what does that really mean? Do we need some inner experience with the sacred that allows us to glow? (It’s just a metaphor, isn’t it?) What in the world does it mean to shine? We love to talk about bringing light to the darkness (even now during Advent) but how does that happen, really? No book that I have read has unpacked this – I am not sure I know of a substantial book that even attempts to. So, right from the start, I was hooked: Beck is exploring some common-sounding stuff, rhetoric I use maybe every day, but haven’t really explored. We are in his debt for giving us a solid explanation of how to become luminous, allowing God’s own presence to spill out over all we do. Here is part of where he goes with this: it has very much to do with being present to God in a way that allows us to then be present to our own bodies and the lives of others. T. David Beck came to realize this rather suddenly, in a unique situation, and he tells us about it in a splendid opening story, beautifully told, that had me on the edge of the coach, eager to take in each word. Wow, those first few pages! As he tells it, he is carrying a child on his back, a Haitian child, and taking this sick kid and his siblings through the rubble a week or so after the awful earthquake there. Beck tells it better than I can summarize, but he senses a mystical presence, God uniting him and the child on his back. He was present to the situation, aware, but in a way connected to all things, but yet tuning everything out but the then and there. He was experiencing something, he came to realize, of the “abundant life” Christ promises and was deepening his “practicing the presence of God” by being fully given to and alive in this moment. It sort of reminded me of a famous moment Thomas Merton writes about, set in a busy inner city intersection in St Louis, but there you have it. Beck realizes in this moment that he and the children and the demolished neighborhood were all somehow profoundly connected to the Creator who sustained them, and to the redeemer who was saving them. He says it more beautifully, and with more theological rigor, but you get the picture. The guy has never been the same since. Beck has four main points to his book, nicely offered with four P words: purpose, presence, power, and peace. He gives a few chapters to each theme, tells remarkable stories, and offers many suggestions (in little sidebars) for experiences to process this invitation to a deeper life. The book reads very well, but also would be ideal for a group to use together. I have not done these exercises, but I pondered them. (Ahh, this is so typical – I really liked the idea of the processing exercises, and benefit from thinking what it would be like if I should do them, but, uh, well; you know.) Pastor Beck’s desire to help us process this stuff, though, is another indication of what I said first: Luminous is an earnestly written book. The author really believes we need to know this material and he wants us to not merely read a book about it, but he wants us to be transformed by it. He wants us to take up God’s purpose, he wants us to more fully be aware of God’s presence, which will, he hopes, allow us to experience God’s power. And all of this – thanks be to God! – is focused on the call to be agents of God’s transforming work in the world, the work of peacemaking. We are, Beck insists, shalom-builders. 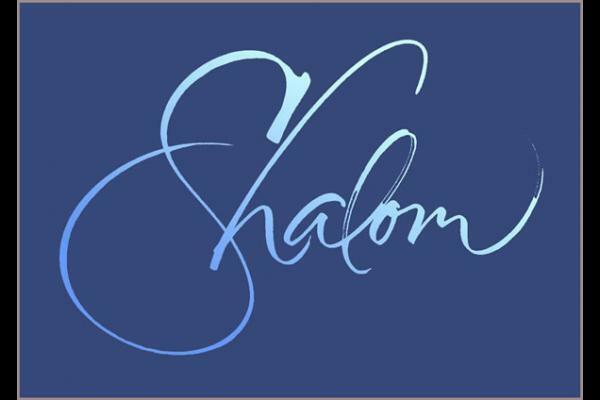 We live, as Walter Brueggemann puts it in a book on peace that Beck cites, “living towards a vision” and that surely is about shalom. Again, this book is multi-faceted, has a missional vision, invites our actual growth into Kingdom ways, by helping us learn how to “practice the presence of God” and find His glorious activity in our very bodies, in our daily relationships, in our sense of vocation to be “lovers in a dangerous time.” The presence and power of God, that is, helps us attend to and love people. Don’t you need a bit of that? Yes, Beck blends the personal and the public, the spiritual and the sexual, the devotional and the daily, loving God and loving others: by encountering the God who is Light, we become those who shine, who share that light, who helps others see in the darkness. We are people who – as Love Does author Bob Goff famously puts it in his colorful style – “drip Jesus” on others. Purpose, presence, power, peace. It dawns on me that some books are strong on the first and last–God’s purposes for His world and our lives, and the need to be agents of redemptive mission, working for peace, helping reconcile things back to God. Other books are about the middle two topics – the Holy Spirit’s presence in our lives and how to tap into that power. I love that these two core center chapters that could be most obviously considered the ones about spiritual practices, are so clearly framed by God’s intentions in creation and redemption, God’s missional purposes for peace. I hate to say this is “balanced” as that can sound anemic or cautiously boring. Let’s just note that I’m glad for all four Ps and impressed how he weaves them together so deftly. You will be too. Two important theological themes inform this lovely book and they are themes you already know but that we all need to know better: the incarnation and the mission of God. It seems that talking about “being incarnational” is common these days – especially in the missional and emergent church movements – and it is helpful to have this nice rumination on it all. 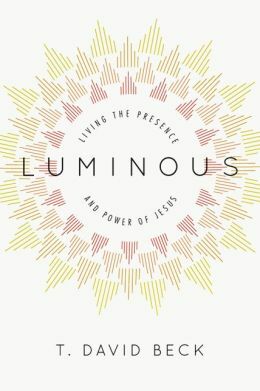 Luminous: Living the Presence and Power of Jesus is not an Advent book, but reading his opening chapters about incarnation while sitting near our Christmas tree was certainly very nice. Luminous suggests the dangerously bright possibility that we can be tuned into and turned on by the same light that illuminates the whole universe with the love of God. We should pay attention to Beck, because he writes from lived knowledge of practicing the presence of God amidst the many details of life. “Dangerously bright”? Makes you want to read, it, no? I agree – it is written with charm and simplicity. It is indeed very refreshing, and fully engaging. Yet, it isn’t just for those entering the spiritual life. It is, I think, for any of us longing for greater presence, for those worrying about how to be more aware of our own bodies, and more available to the people around us. It is for those of us who are idealistic and eager to read more about taking on the needs of the broken world, and it is for season activists, needing to be called back to being with God, even as we serve God with all we’ve got. It is for those whose lights are bright, and need a reminder of how that really works, and for those of us whose lights are flickering, needing some help getting the flame reignited. I find it a nice touch that throughout the book, Beck indicates that some readers may not be followers of Christ, that not all readers are in agreement, or have had the same experiences. This makes it a generous and hospitable book. As one reviewer puts it, Beck has “the head of a scholar and the heart of a pastor.” I bet you know somebody who needs this kind of reflection, so they, too, can reflect the light. This is delightful book that is warm, but challenging, pleasant but powerful, about God’s life in ours, and our life in the world. God intends for his children to be luminous. This book will help you shine. 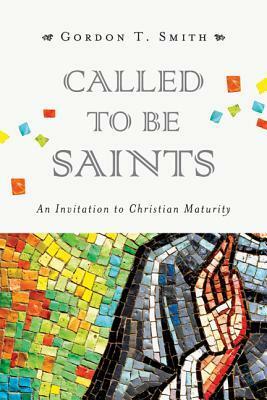 C alled to Be Saints: An Invitation to Christian Maturity Gordon T. Smith (IVP Academic) $26.00 A few things have conspired to make me think, yet again, about this question of how one grows up in Christ. My own failures, the bland religion of many church folk, the overly-zealous peppiness of those who seem alive but are too often just masking terrible immaturity with loud God-talk., my own travels in so many different quarters of God’s church reminding me that there are so many different kinds of Christian experiences, different qualities and standards and expectations. What’s a middle-aged ecumenical boy to do? And, I’ll admit, like others I know, I’m doing a bit of reading and a lot of talking with friends about what constitutes a gospel-centered life. I am grateful for those using the small group resource of that name and glad for those who are clear about salvation through grace alone, by faith alone, through Christ alone. I still ove the old hymn “On Christ the Solid Rock I Stand”, and the Advent hymns that are clear about Christology move me to tears some Sundays. But yet, is what the theologians call sanctification merely a reassurance of the facts of justification? Luther said we must daily preach the gospel to ourselves, and yes, recalling the sufficiency of the cross is a vital, comforting spiritual discipline. But Christian growth into union with God and maturity in the ways of Christ takes more than being what many are now calling being “gospel-centered” — as if only a recapitulation of the victory of Christ’s work and reminding ourselves of God’s sovereign grace is all that is needed. There are other things we must embrace, disciplines to be learned and practiced, ways of death and dysfunction to set aside, new vocabulary and values to embrace and embody. If we are called to live into grace, what does that entail. How to take next steps? The lovely and good insights of Beck’s Luminous (described above) get us a good way there. That is a deceptively simple book, and I think would do us all well to read and embrace it. God’s presence and power and peace in our lives? Yes, please! But, still, some of us need more. More guidance, more detail, more theological categories and more systematic, careful reflection on how it all works. And Called to Be Saints is one of the best works I’ve seen on this in quite a while. I think it is a very, very significant book — and, it is a joy to read. Perhaps this new one — on ongoing Christian growth, sanctification, holiness and maturity — was inevitable. Smith has written a splendid book on starting one’s faith called Beginning Well: Christian Conversion and Authentic Transformation and another very studious and important one on church membership and catechesis called Transforming Conversion: Rethinking the Language and Contours of Christian Initiation.) Called to be Saints about how to grow in mature faith seems almost a natural follow up to those two. And as good and helpful as those two are for those who need to study this process of whole-life transformation, this one is perhaps a capstone! Can it get any better than this? Can it get any more important for most of us? 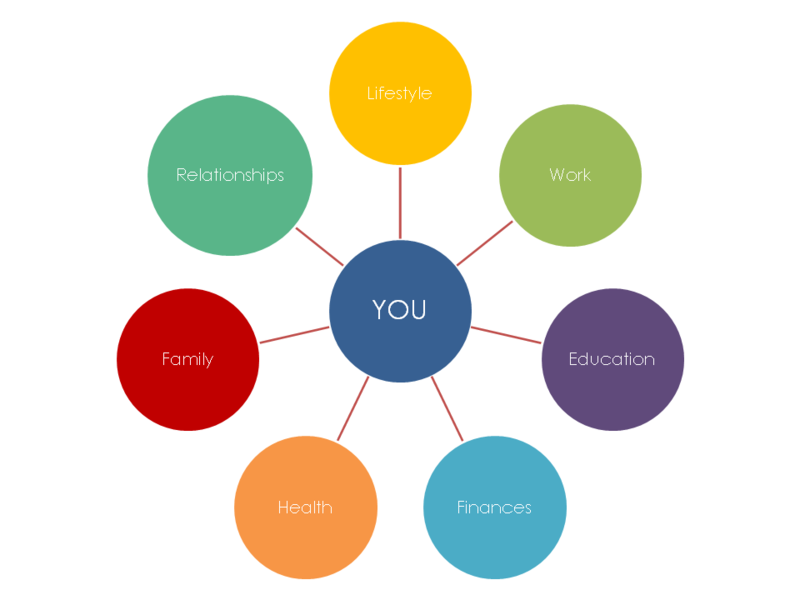 Let’s get busy thinking it through: what comes next and how to we get there? Called to Be Saints can help. Christians need a comprehensive theology of the Christian life from beginning to end, along with the means of formation and transformation. 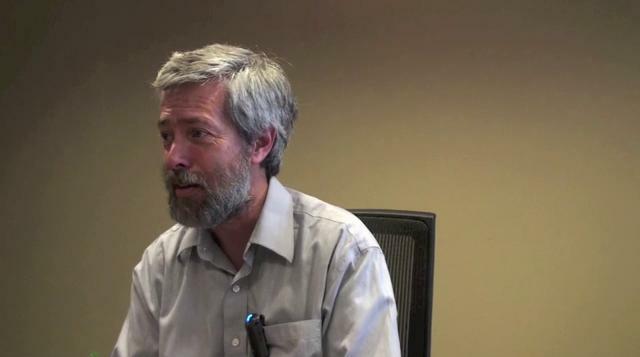 Gordon Smith provide a theologically rich account of our participation in the life of Christ. Not a bad promise when you realize these are mature, ecumenically-sensitive authors, writing about a fairly serious book. I’ve not studied it carefully, but I am happy to report that it covers a lot of ground, an d discusses things important to me. I think they are things that are important to you. And there are great touches — a nice story here, a truly vital insight there, a quote by a mystic poet or a liberation theologian or a Puritan thinker, a connection I didn’t see coming. An old friend of some long-time Hearts & Minds customers, the late Kenn Hermann of Kent, Ohio, is cited in a footnote about the academic discipline of thinking Christianly about all of life. There is good teaching on wisdom, on work, on our involvement in the church, and how worship shapes our deepest longings. Although it is only a brief shout-out in a footnote, it is evident that Smith is conversant with the argument advanced by James K.A. Smith — no relation, even though they are both Canadian. Again, Called to Be Saints: An Invitation to Christian Maturity is a far-reaching, good book, important and very helpful for anyone wanting a somewhat deeper, more mature handbook to the meaning of life-long, serious Christian growth. I am very, very happy to commend it to you. 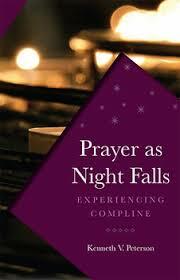 P rayer as Night Falls: Experiencing Compline Kenneth V. Peterson (Paraclete) $19.99 Well, this isn’t a typical daily devotional, but I want to list it here for this sort of intentionally reflective reading. I know a small group of young adults, scattered all over the continent who for a season committed to praying the Compline prayer service every evening via Skype or conference call. It was very rewarding, and when this book was announced I of course thought of them. Which is to say, you can do this. This is a practice that is catching. Maybe you will not start an evening phone prayer group, but you might, like me, truly enjoy and in some ways benefit from reading about this historic Christian custom. And this book will help you do just that. 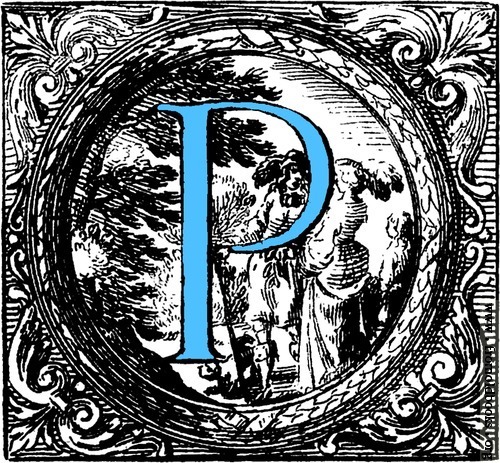 Kenneth Peterson is a former music teacher and now software engineer as well as a medieval music aficionado who has had a long interest in chant and early music. Importantly, he has sung Compline at St. Mark’s Episcopal Cathedral in Seattle since the mid-1960s, which serves as the core of what this book is really all about; he unfolds that story in a beautiful, fascinating narrative. One of my favorite Bruce Cockburn albums, by the way, is called The Charity of Night and Brian Walsh has a whole chapter in his book Kicking at the Darkness: Bruce Cockburn and the Christian Imagination about images of darkness and night in Cockburn’s music called “What Do You Do With Darkness?” But I digress. Paying attention to night rhythms may just help us to deepen our Christian lives. Fascinating, huh? The phenomenon of doing Compline, Peterson provocatively argues, led to the resurgence of contemplative spirituality and the rediscovery of Christian monastic traditions during the last half of the 20th century. Prayer as Night Falls is really a personal story and a history of spirituality as well a study of sung end of the day prayer. 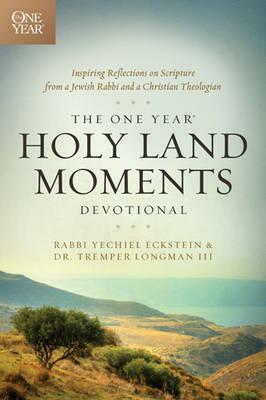 T he One Year Holy Land Moments Devotional Rabbi Yechiel Eckstein & Dr. Tremper Longman III (Tyndale) $15.99 That this book even exists is remarkable — a Jewish Rabbi and a thoughtful evangelical Old Testament scholar ruminating together on Scripture, arranged for daily use! Much of the book, it seems, is written by Rabbi Eckstein, with uniquely Christian contributions by Longman. It is very illuminating and has a fabulously interesting tone. There are 52 weeks worth of devotional reflections here, each week focusing on a particular theme. Each Sabbath day offers a guide for pondering questions that have come up in the week’s readings, doing a little journaling and prayerfully resting. The dates of celebrating major Jewish feast days differ from year to year, but the major holidays are included when they are most commonly celebrated. This is a very, very neat idea, and is a rich, thoughtful daily devotional. I think any number of different sorts of folks might like it a lot. Dialogue is never easy when there are core differences that make conversations difficult. It takes a patient and kInd heart to be open and learn from others. The benefit for this labor is always a richer and more complex engagement with reality,but for most, the fear exceeds the promise of goodness. Rabbi Eckstein and Dr. Longman offer immense and practical wisdom about the holy text of Scripture and also paint a beautiful portrait of how differenT perspectives of Scripture can refract, inform, and bless one another. This devotional guide will intrigue and instruct — and, far more, will invigorate your engagement with God. 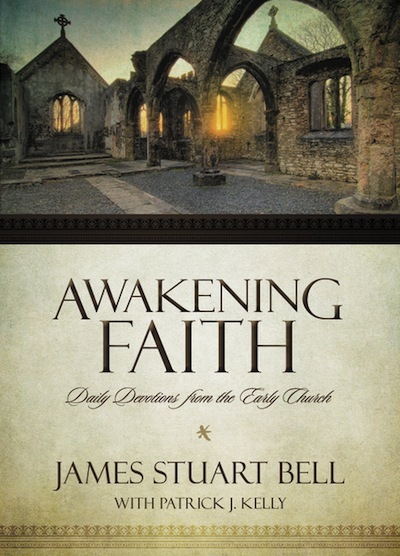 A wakening Faith: Daily Devotions from the Early Church James Stuart Bell with Patrick Kelly (Zondervan) $24.99 I love these chunky, slightly smaller sized hardbacks, and, more important than how this feels in the hand, is how it feels in the soul. It just seems amazingly right to reflect on wisdom from nearly 2000 years ago, from the first few centuries of early church history. Of course, much that was said and done even in the first years of the church was bizarre, if not harmful. But much was good and wise, radical and inspiring. I am grateful for the wise guides who picked these readings, edited them into nice little daily chunks, allowing the voices of Irenaeus, Polycarp, Gregory the Great, Clement, Augustine, Columbanus, Tertullian, Ambrose, Ephrem the Syrian, Gregory of Nazianzus, and a host of writers I’ve never heard of (Asterius of Amasea, Venantius Fortunatus, Pseudo-Chrysostom, Zeno, and so many more) guide our thinking about the Scripture of the day. There is a nice index in the back which gives a very brief biographical sketch of these early church leaders. They have foreign sounding names, but they were the preachers and pastors, elders and bishops of their day. We should know them. In the age of social media, where glib sayings abound, on years to read some deeper wisdom about life and faith on a regular basis. Well, here you have it, a compendium of wisdom, devotion, and biblical insight from some of the most thoughtful and faithful Christians from the early eras of the church’s history. And in blog-sized posts. A nice change of pace!